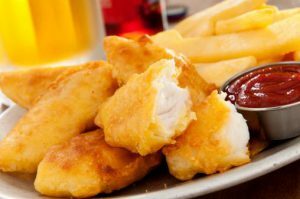 Bring “Fish n’ Chips” to a whole new level with this fun and easy dinner! Set a wire rack in a baking sheet; lightly grease rack. In a medium-sized bowl, stir together sour cream, parsley, garlic and lemon zest. Season both sides of fish with salt and pepper to taste. Arrange fish on prepared rack. Spread sour cream mixture on top of fish, dividing evenly. Top with crushed chips, pressing lightly to adhere. Bake until chips are golden brown and fish flakes easily with a fork, approximately 20 minutes. Garnish with parsley and serve with lemon wedges. 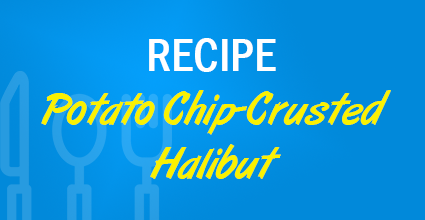 Tip: To up the fun factor on this dish, you can experiment with different-flavored chips. ← How Many Credit Cards Should I Own?